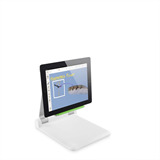 This Portable Tablet Stage and Belkin Stage App were inspired by teachers struggling with technology inside their classroom. Mobile technology plays a vital role to enable better learning experiences, and that's why we created the Portable Tablet Stage and Stage App. With it, you can use it with your mobile devices whenever and wherever you wish. 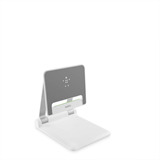 Lightweight and affordable, Belkin's Portable Tablet Stage is easy to transport and simple to set up. 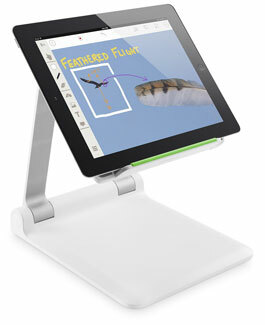 Paired with the Belkin Stage App you can transform your tablet into an interactive presentation system. You can showcase documents, annotate over those documents in real time, add shapes, insert pictures from your photo library, create, save and use labels, or even screen capture or record your tutorial to upload to collaborative sites. 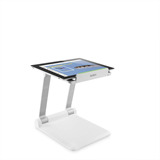 In addition, the Portable Tablet Stage easily adjusts to show mode to presentation mode. 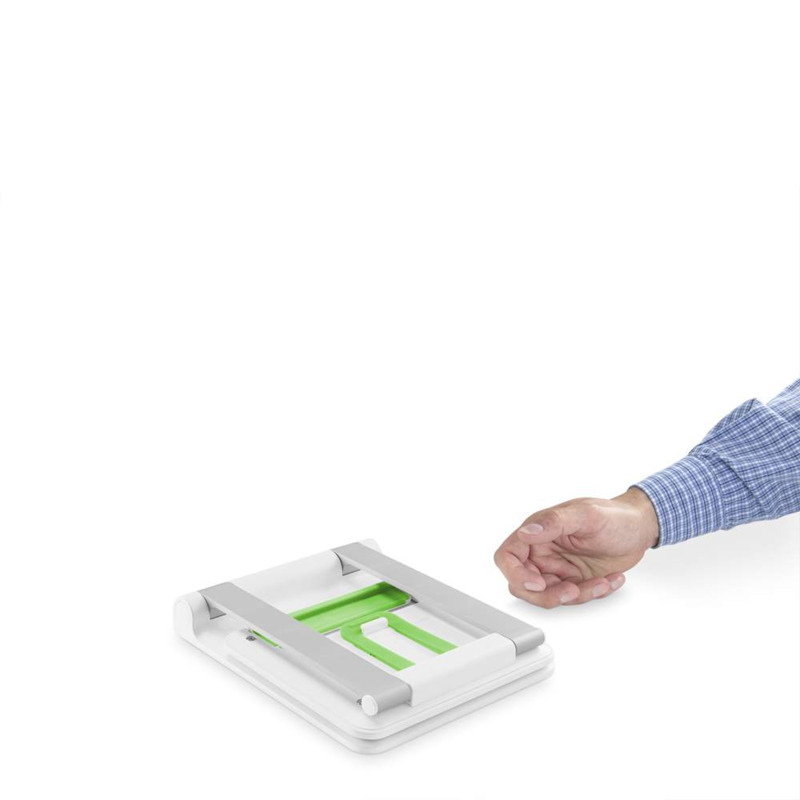 You can further increase that angle to video record objects behind the Portablet Tablet Stage. 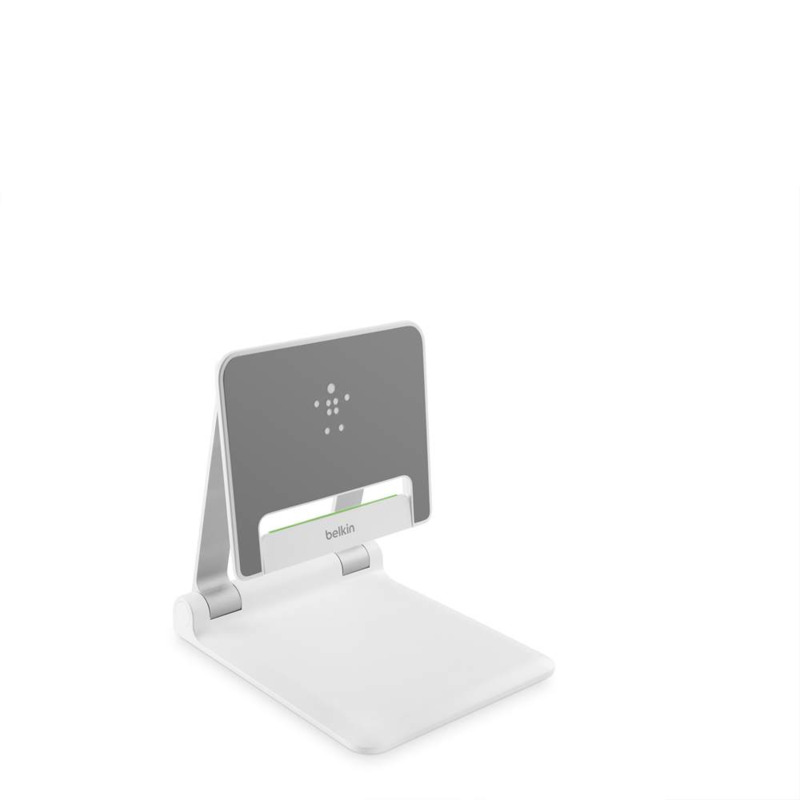 Whether in the classroom or the conference room Belkin's Portable Tablet Stage is your perfect partner to create and present content using your favorite mobile device. 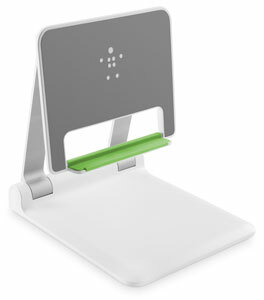 The Belkin Portable Tablet Stage is a travel-friendly stand designed to enhance your tablet experience. 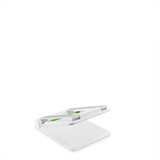 Perfect for presenting, reading, recording video or surfing the web, this lightweight, durable stand also folds flat so you can take it with you wherever you go. The Belkin Portable Tablet Stage features an adjustable platform that lets you position your mobile device at the ideal angle for recording video or capturing images of objects, textbooks or documents. The integrated cable management system keeps your desk, podium or workspace neat and clutter-free. 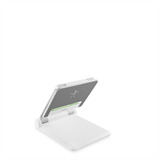 The Belkin Portable Tablet Stage folds up quickly and neatly, so it's easy to carry along with your tablet, smartphone and any other accessories. 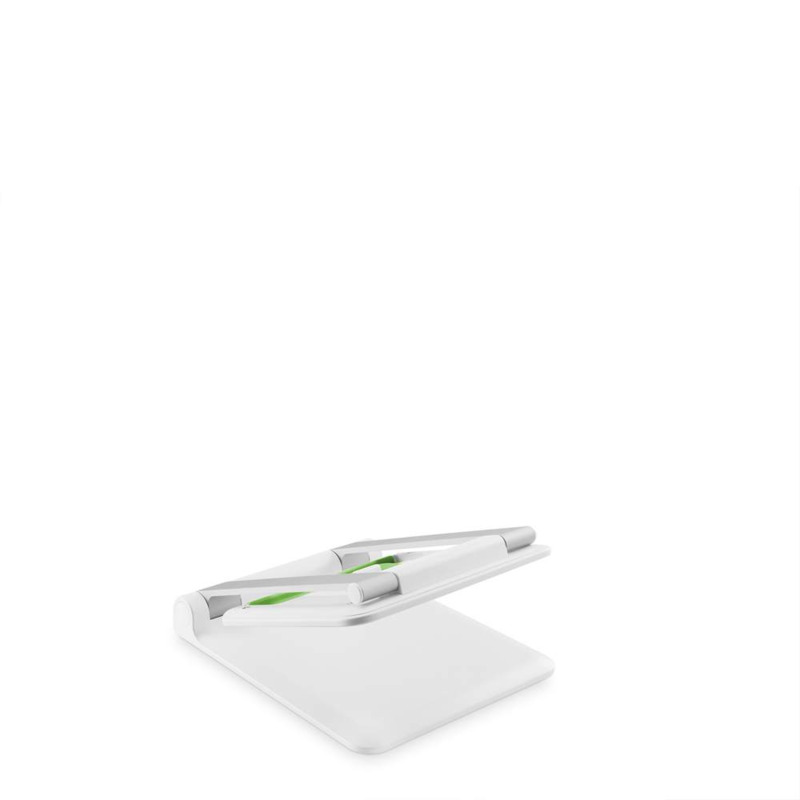 Its lightweight, compact design makes it ideal to use whenever and wherever you need to give a presentation or collaborate with others. Setting up and using the Belkin Portable Tablet Stage is a breeze -- just connect your tablet or smartphone to a display system such as a projector, monitor or HDTV, launch the Belkin Stage™ app, and you're ready to share real-time images and notes with your audience. 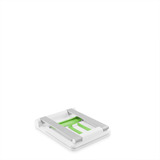 Check out what people are saying about, and doing with, the Portable Tablet Stage. Complete your presentation toolkit with the Belkin Stage app, an interactive whiteboard and document camera app. 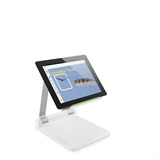 Stage makes it easy to capture images or live video on your tablet, overlay text and labels, highlight key points throughout the presentation, and share your content in real time over AirPlay or a wired connection. Available in the Apple App Store or Google Play.